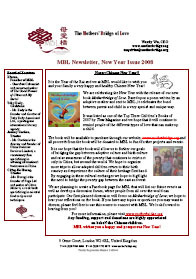 We will be collecting Red Chinese New Year envelopes on behalf of Chinese children everywhere. Please use these envelopes to send your contributions to MBL and/or wishes you have for the children of the world in the coming year. These contributions can be made by post or through our website. 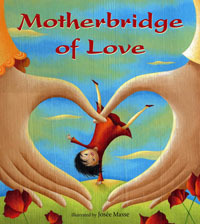 For donations over Â£10, please include your contact details so that we may send you a copy of our new book, Motherbridge of Love! The easiest way is to visit our donation page (hosted on an external site), and if you’d like us to send you a copy of Motherbridge of love, please leave your details and address in the message box when giving your donation. We would also love to hear your suggestions for the coming year. If you have any thoughts for us or any ideas you would like to see come to life, please feel free to share them with us through the website or through our new MBL page on Facebook. We are always looking for new ways to reach out to the global community. Thank you for your interest in MBL and our work!